Amsterdam, City Of Canals, City of Museums, Venice of the North, Sin City is one of the most dynamic, entertaining and cosmopolitan cities in the world. Remenber, it’s a city that doesn’t sleep… No matter what time of day it is and you should always find something to keep you entertained, bemused and amused. 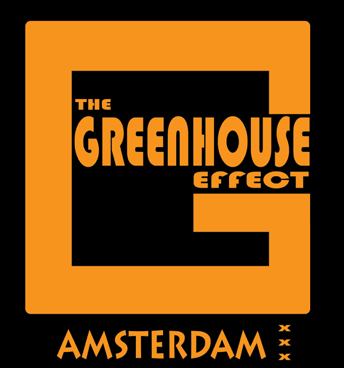 173 coffee shops in Amsterdam in 2018, that is 30% of the total coffeeshops in the Netherlands. Prices and quantities vary from store to store, and some offer much better offers than others. On average, in Amsterdam, one gram sells around: € 5 / € 12 for White Widow, AK 47, Amnesia, Super Polm, Royal Cream, Zero-Zero. € 12 / € 15 for Casey Jones, Orange Bud, Rollex O.G Kush, Tbizla, King Hassan, Caramello, White Rhino, Choco, Sour Diesel Hash. Some addresses with a plus for the neighborhood De Pijp, located south of the historic center (De Wallen) of Amsterdam. 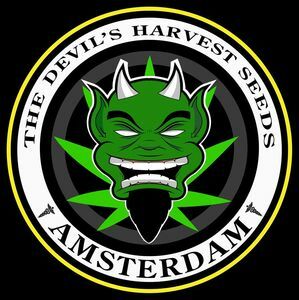 At the top of the red light district, a legend, first license granted, very good products weed hash, nice atmosphere. Rusland 16, Tram 4, 9, 14, 16, 24, 25, Metro Nieuwmarkt / Waterlooplein. Every day from 10am to midnight the week, until 1 am on weekends. At the corner of Kloveniersburgwal and Rusland. Very good products, small terrace overlooking the canal. Neighborhood coffeeshop in the Pijp, very good selection of weed and hash, good value for money, without too many tourists! Gerard Doustraat 85, Tram 3 – 4 – 16 – 24 – 25 Every day from 8h to 0h, until 1h on Fridays and Saturdays. One of Amsterdam’s oldest coffeeshop, lots of tourists, some “characters” of the Red Light (especially in the morning) practice but a little expensive, good quality, especially hash, close to Central Station. Tous les coffeeshops presentés sur ce site web sont ouverts à tout le monde sans discrimination. All coffeeshops presented on this website are open to everyone without discrimination. OUVERT POUR TOUS LES CONSOMMATEURS MAJEURS. LES INFORMATIONS TROUVEES ICI NE CONSTITUENT PAS UNE INCITATION A L’USAGE DU CANNABIS. SOYEZ RESPECTUEUX ET ADULTES. EVITEZ DE MELANGER: ALCOOL + CHAMPIGNONS + CANNABIS. OPEN FOR ALL ADULTS CONSUMER. THE INFORMATION FOUND HERE DOES NOT CONSTITUTE AN INCENTIVE FOR THE USE OF CANNABIS. BE RESPECTFUL AND ADULTS. AVOID MIXING ALCOHOL + CANNABIS + MUSHROOM. 173 coffee shops à Amsterdam en 2016, soit 30% du total des coffeeshops des Pays-Bas. Les prix et les quantités varient d’un magasin à l’autre, et certains proposent des offres beaucoup mieux que d’autres. En moyenne, à Amsterdam, un gramme se vend environ: 5 € / 12 € pour White Widow, AK 47, Amnesia, Super Polm, Royal Cream, Zero–Zero.​ 12 € / 15 € pour Casey Jones, Orange Bud, Rollex O.G Kush, Tbizla, King Hassan, Caramello, White Rhino, Choco, Sour Diesel Hash. 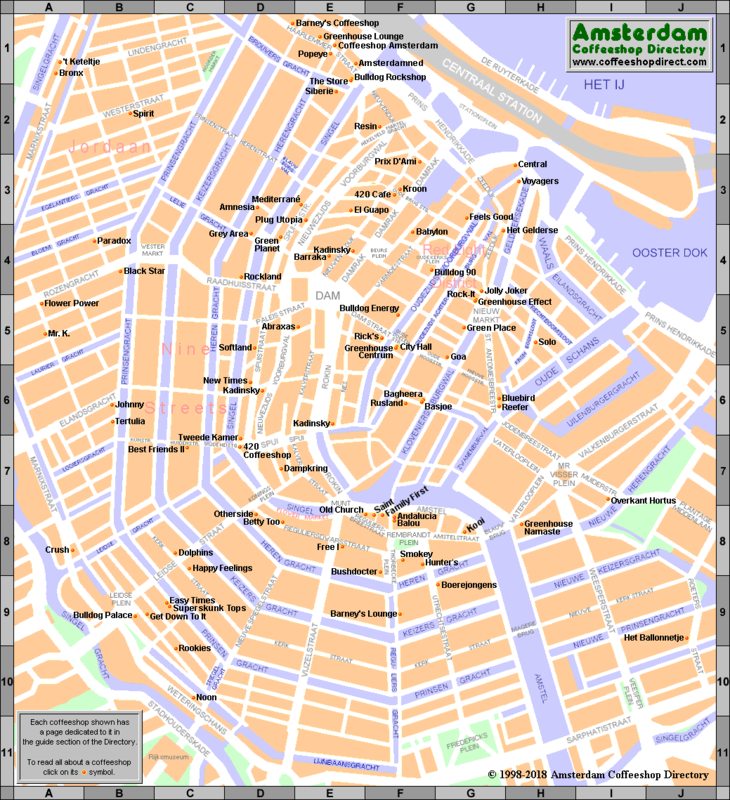 Quelques adresses avec un plus pour le quartier De Pijp, situé au sud du centre historique ( De Wallen ) d’ Amsterdam. En haut du red light district, une légende, premiére licence accordée, trés bon produits weed hash, ambience sympa. Coffeeshop Basjoe, coffeeshop Bagheraa sont au coin de la rue Kloveniersburgwal . Très bon produits, petite terrasse avec vue sur le canal. Rusland 16, Tram 4, 9, 14, 16, 24, 25, Metro Nieuwmarkt / Waterlooplein. Tous les jours de 10h à minuit la semaine, jusqu’à 1h le week end. Coffeeshop Club Media, coffeeshop de quartier dans le Pijp,  tres bonne sélection de weed et hash,  bon rapport qualité / prix, sans trop de touristes! Gerard Doustraat 85, Tram 3 – 4 – 16 – 24 – 25. Tous les jours de 8h à 0h, jusqu’à 1h les vendredis et samedis. Lemon Haze Hash, €13.50 per gram. avec en plus la certitude de la qualité. L'architecturede la ville invite à la flânerie et au shopping. Alle Coffeeshops auf dieser Website sind für alle offen, ohne Diskriminierung. NO WEEDPASS. OPEN für alle Erwachsenen CONSUMER. 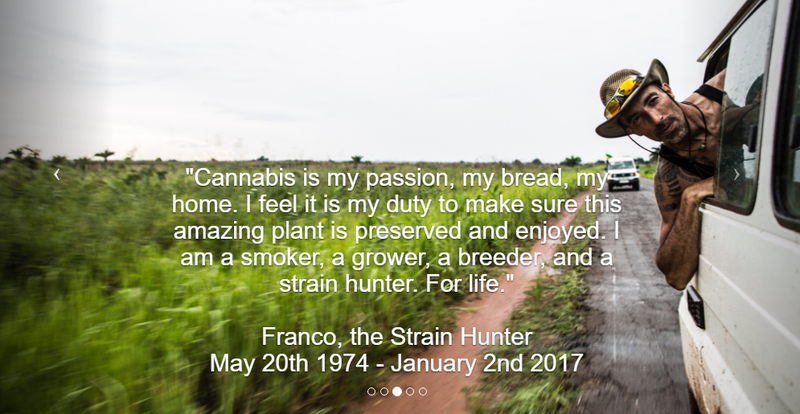 THE Informationen finden Sie hier STELLT KEIN Anreiz für die Verwendung von Cannabis. Sei respektvoll und Erwachsene. Vermeiden Sie das Mischen: ALKOHOL + CANNABIS + Pilz. 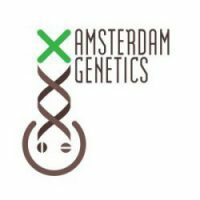 Alle op deze website coffeeshops zijn open voor iedereen zonder onderscheid. NO WEEDPASS. OPEN VOOR ALLE VOLWASSENEN CONSUMENT. DE GEVONDEN HIER gegevens vormen geen stimulans voor cannabisgebruik. Wees respectvol en volwassenen. Meng geen ALCOHOL + CANNABIS + paddestoel. 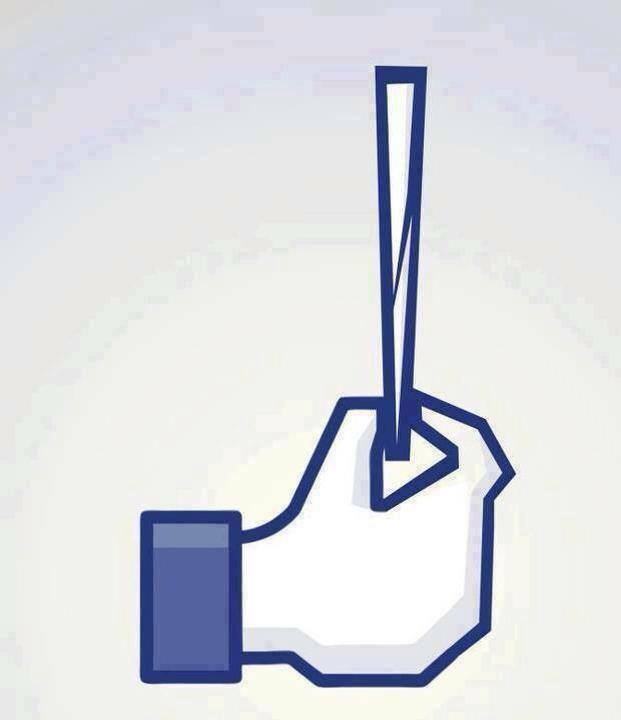 That is a grdeat tip particularly to those fresh to the blogosphere. Do you have an email where we can send the new menu’s to? Included pics and videos if you want! Just shared it on my FB page.